Welcome to the 4th International IFAC Workshop on Navigation, Guidance and Control of Underwater Vehicles (NGCUV’2015). NGCUV goal is to show the latest investigations in Unmanned Underwater Vehicles as well as to promote the exchange of information and perspectives on the field’s current research. 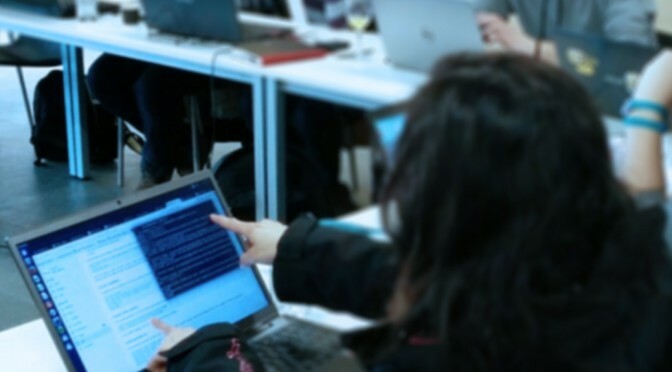 The Workshop brings together a diverse set of researchers who are jointly committed to foster the research and innovation in underwater robotics. The event series was initiated in 2003 and has been held in Newport (UK), Limerick (IR) and Porto (PT) since then. 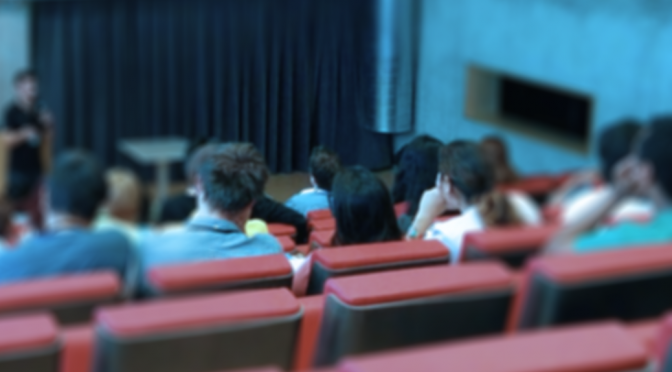 The present edition is co-organized by the Universitat de Girona and the Universidade do Porto, and is taking place on April 28th-30th 2015. Girona offers a great combination of cultural, gastronomical and sightseeing attractions that make it one of the most visited regions in Spain. 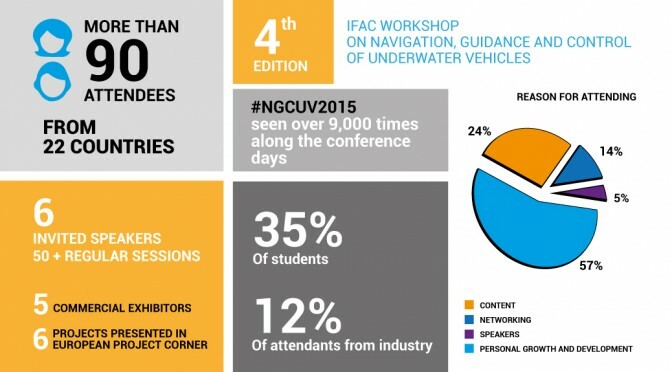 NGCUV 2015 will bring together 49 contributions, which will be presented orally in two parallel sessions categorized in 8 different topics: “Underwater Manipulation”; “Mapping and SLAM”, “Navigation, Control and Planning”, “Tracking and Localization”, “Operations”, “Vehicle Modeling & Design”, “EU Projects” and “Multiple Vehicle Systems”. The workshop will feature 6 invited plenary sessions given by leading research scientists around the world: 1) “The future of AUV technologies” by James G. Bellingham (Woods Hole Oceanographic Institution, USA); 2) “An innovative vehicle concept for ocean science: Ifremer’s hybrid ROV first sea trial experience” by Jan Opderbecke (Underwater Systems Unit, IFREMER, France); 3) “Towards Integrated Autonomous Underwater Operations” by Asgeir J. Sørensen and Martin Ludvigsen (Centre for Autonomous Marine Operations and Systems –AMOS-, Trondheim Norway); 4) “Opportunities for Underwater Robotics in H2020” by Michel Brochard, (European Commission, DG Connect A2 Robotics); 5) “The role of AUV’s in the Oil & Gas Industry” by Hugh Ferguson (Subsea7, Aberdeenshire – United Kingdom) and 6) “Reflections on a decade of Autonomous Underwater Vehicles for Marine Survey” by Stefan B. Williams (Australian Centre for Field Robotics Sydney, Australia). In addition, an interesting tutorial session entitled “ROS for AUVs” will be given by Dr. Narcís Palomeras (UdG, Spain). Besides the technical sessions, there will be an exhibitor area where 6 companies and institutions will showcase their products, services and projects. I would like to thank all authors and people attending at NGCUV Workshop 2015 for their interest and collaboration. I hope you find the meeting fruitful and you have a pleasant time in Girona. I would like also to thank the organizing committee from the Underwater Vision and Robotics Research Centre (CIRS – VICOROB) of the Universitat de Girona and the Laboratório de Sistemas e Tecnologias Subaquáticas (LSTS) from the Universidade do Porto for their support and effort in the organization of this successful event. IFAC NGCUV 2015 team is happy to announce that we will count on different commercial exhibitors in the Conference framework. The exhibition will be a meeting point for different marine technology actors worldwide and will be open along the conference, coffee breaks will take place in the Exhibition room. On Tuesday afternoon, there will be a special networking session in the Exhibition area open to all the conference attendees. It will be a great opportunity for you to meet them and try to make business. You will need your badge to enter the Exhibition Area. 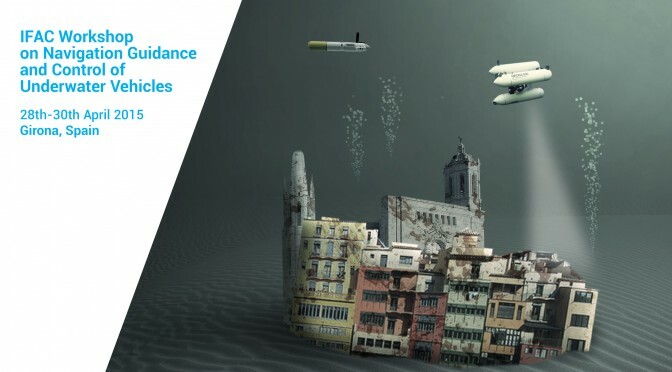 The 2015 NGCUV conference programme will become a stage for the key industrial and academic practitioners for discussions and demonstrations of recent advances in navigation, guidance, and control of unmanned underwater vehicles. 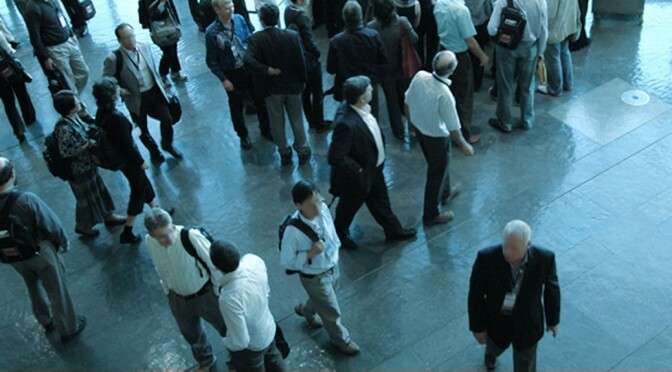 The Keynote speakers programme will contain a total of six sessions. James G. Bellingham, Woods Hole Oceanographic Institution, U.S.A. In addition to programme, there will be a ROS Wokshop on the 27th at Parc Científic i Tecnològic. Further information regarding the pre-congress tutorial can be found here. Please note that there is an additional charge to attend the tutorial and you will need to register for these during the online registration process. Click here to register.